410 NW 203rd Ave, Pembroke Pines, FL.| MLS# A10599655 | Susan J Penn l Best Agent l Buy & Sell South Florida Homes! 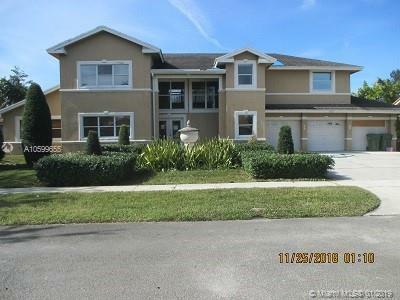 Large 4 Bed 4 Bath with Office located in the Community of Chapel Lakes Estates. This Home Features a Spacious Floor Plan, Large Back Yard with Lush Tropical Landscaping. Plenty of Room for a Pool A+ School District...West Broward High School! Close to Major Highways, Shopping and Dining. See Attachment for PAS Requirements and WFHM Offer Submittal Information in MLS Documents Section. A Standard Sellers Addendum will be provided to potential buyers once an offer has been accepted. Please submit all offers to the listing broker/agent. Please request showings through showing assist if property is showing active it is still available. Please read attachments and broker remarks for submitting offers. INSPECTIONS ARE FOR INFORMATIONAL PURPOSES ONLY. Directions: Pines Blvd West To NW 202nd Avenue And Turn Right. Turn Left On NW 4th Street To 203rd Avenue And Turn Right.